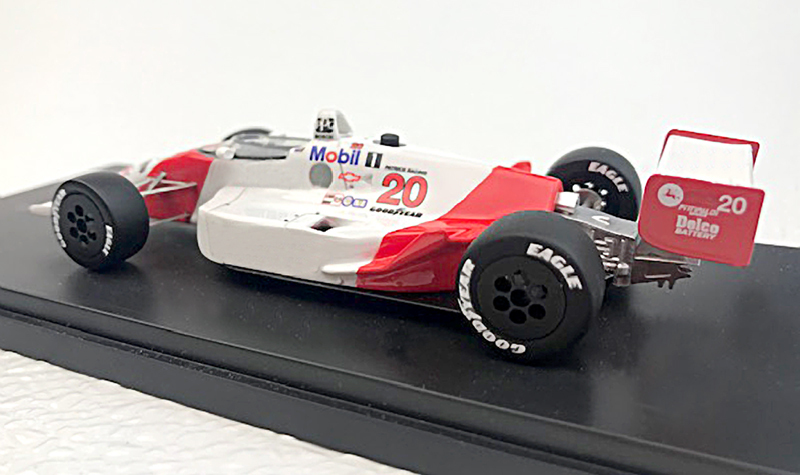 When we last commented on the revival of Indycar models, it was the Replicarz 1:43 Lor Schell and Elgin Piston Pin Special that were featured. Those are terrific. 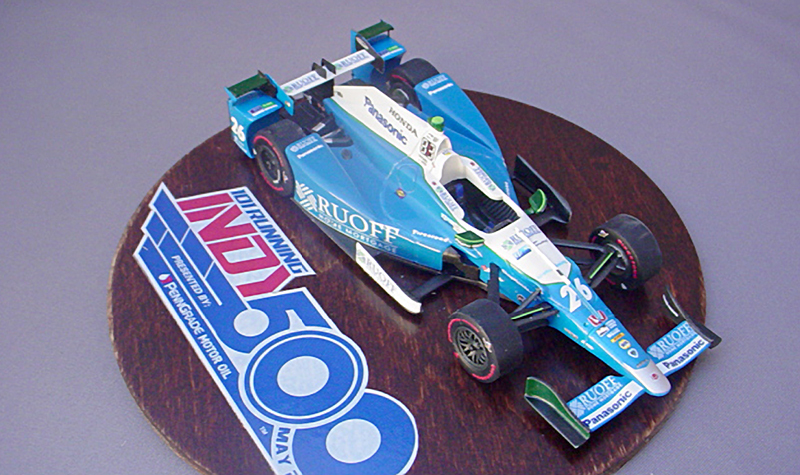 Most of the Indycars that Replicarz has produced to date have sold out or are almost sold out. 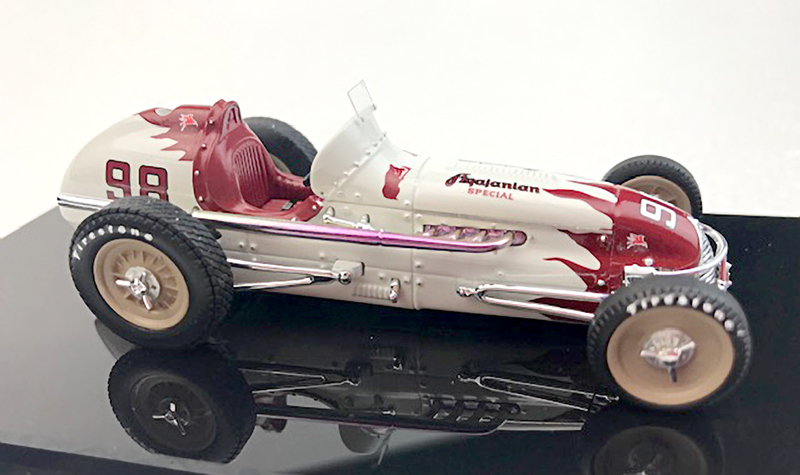 Not resting on their laurels, Replicarz’s newest release is the 1952 Agajanian Special Indy 500 winner. Indy was still front-engined roadster turf in the 50s and this model celebrates that era. The Agajanian Special is yet another well curated model in the Replicarz series capturing even the smallest of details. Take a look at the engine vents along the left side, just ahead of the external shifter. There’s small buckles for the hood stays and the seat belt. 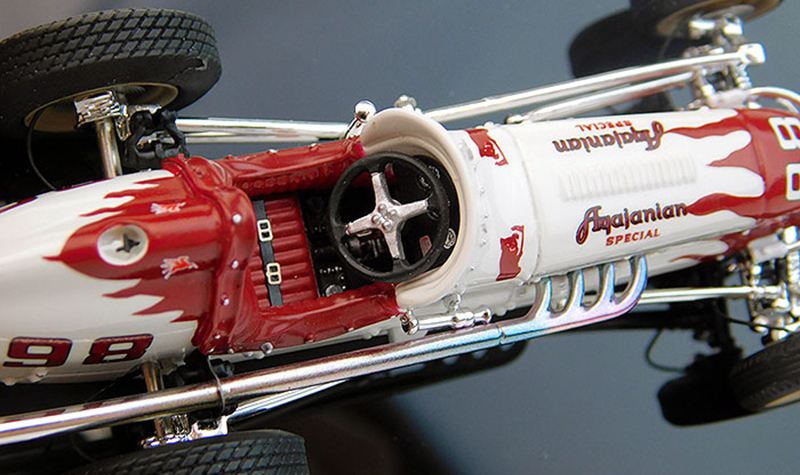 I like the heat discoloration on the exhaust, a small but appreciated detail often left off in this scale. The tire tread detail is different from front to rear, as it should be. “Glass-covered” guages grace the cockpit. The external steering arm seems weird now but was right at home on this car. Bolt detail is everywhere on this shop-built race car. 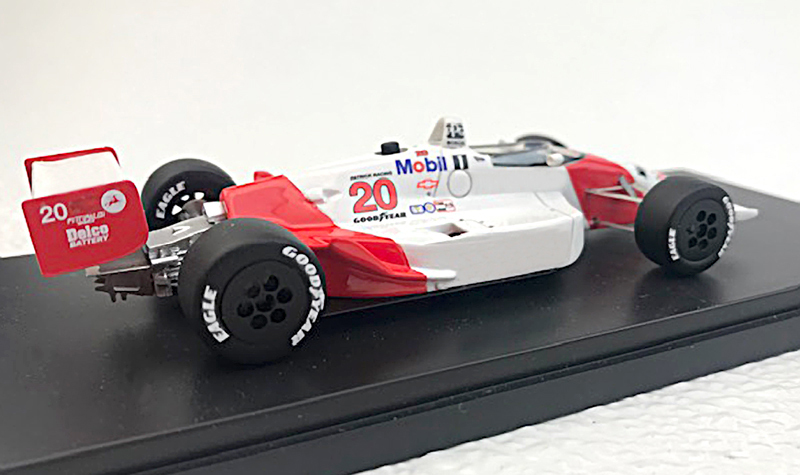 Next 1:43 to be released by Replicarz will be the Penske PC18 (top and left) that Emerson Fittipaldi used to win the 1989 Indy 500. Roger Penske sold one of his current cars to Pat Patrick for the 1989 season, facilitated by mutual sponsor Marlboro. Fittipaldi then used the car to beat Penske at his own game. Penske fixed that for the next season by hiring Fittipaldi away into his own team. The prototype model looks good. Fear not, decals to complete the livery of this car will be included with the model. Laws: can’t live with them, can’t live without them. I don’t know about you, but I have never purchased a pack of cigarettes because of a racecar sponsorship. That from a diehard John Player Special Lotus fan, no less. Even though Ferrari does not license their models widely or inexpensively, Brumm has escaped that problem. 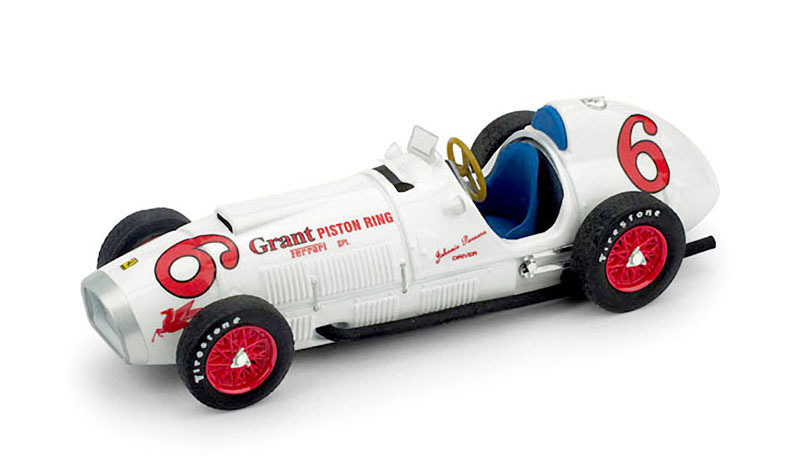 While they have not produced the most intricately detailed 1:43 models on the planet, they still have made a few very collectible Indy cars. Three Ferrari 375 Indy cars from the 1952 race are out there as is a 1947 Mercedes W154. See the gallery below. 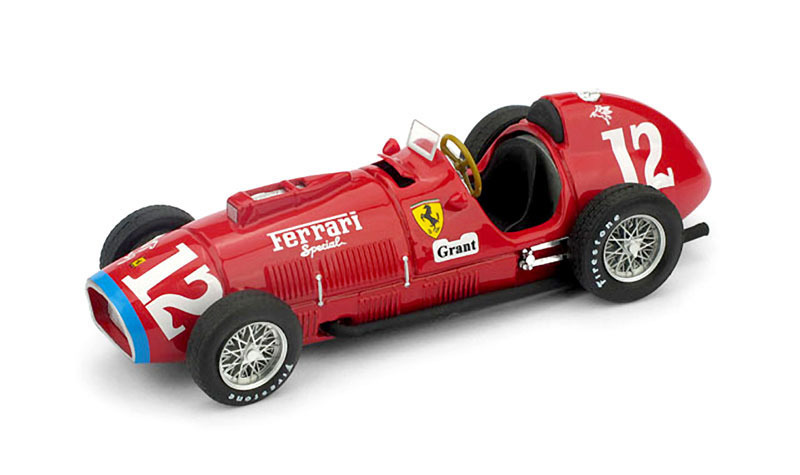 A pair of well-detailed 1:43 kits have been produced by Brickyard Models. One is the Andretti Autosport car that Takuma Sato used to win the 2017 Indy 500. The other is another 2017 Andretti-run car for Fernando Alonso. I’ve seen that model in person and it is outstanding. I think the manufacturer aero kits were horrible looking additions to a Dallara that did not need to be any uglier than they already were. Still, these are great kits and a worthwhile purchase. 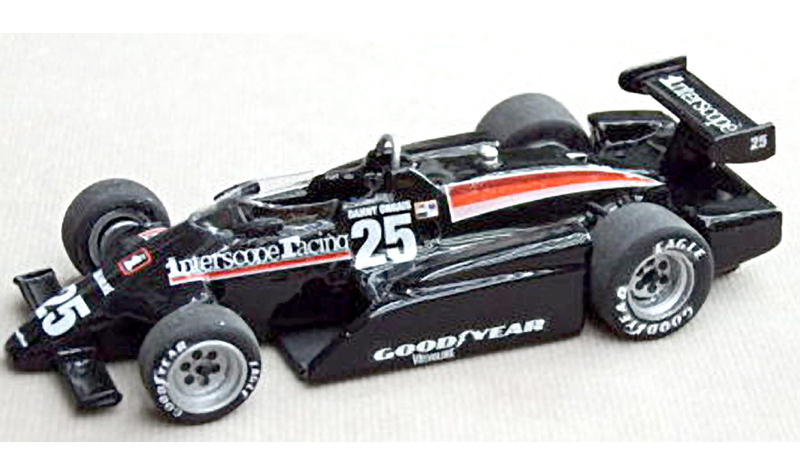 Easily the most prolific of the Indy 1:43 car model producers is MA Scale, made right here in the USA. While their models will never be spoken about in the same conversation with Tameo kits, they are still worth a look. MA has produced a few of the Dallaras as well and the obscure Interscope-Cosworth driven by Danny Ongais. 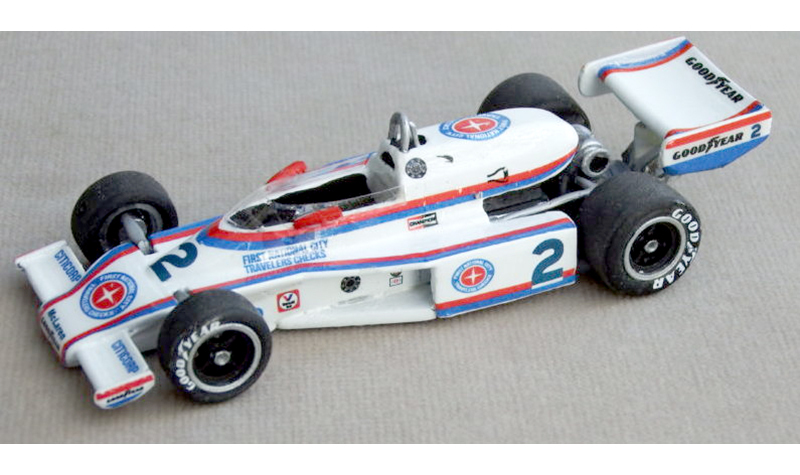 Also new is the McLaren M24 First National City Bank car driven by Johnny Rutherford. 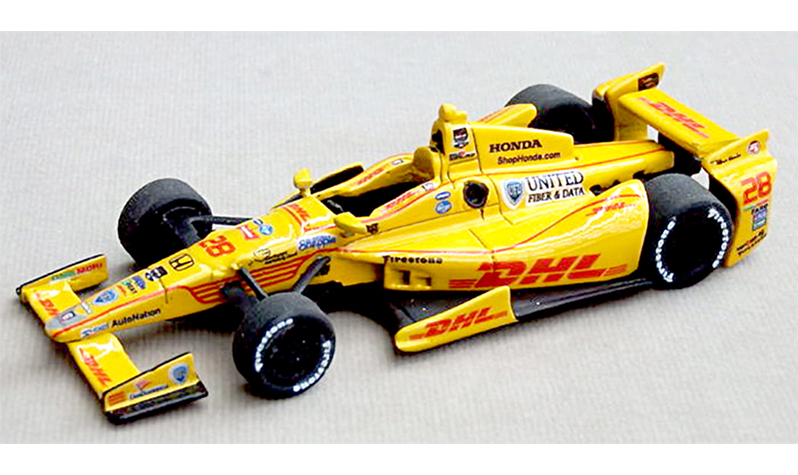 The Indy winning Dallaras of Tony Kanaan and Ryan Hunter-Reay are the only kits of those cars produced to date. A bit of extra attention to the detailing of these kits will render a pretty good result and add to your total count of Indy winners. Scrolling through the list of Indy cars on the MA site will tempt you to go for at least one. 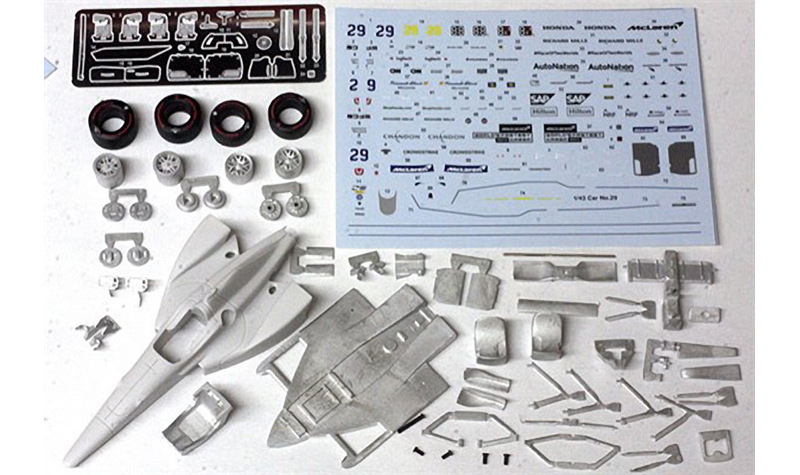 MA has produced some of those Ferraris too if you prefer kits to ready builts. 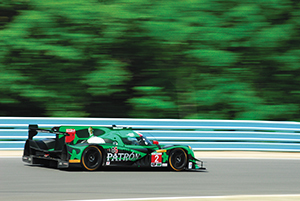 Check out the previous articles on the revival of Indy cars here. 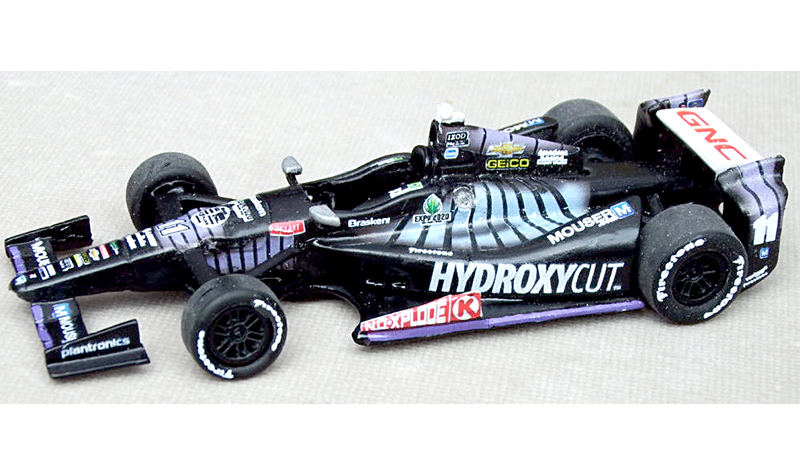 You can find Replicarz Indy cars on their website or at many other dealers worldwide. Brumm models are getting harder to find in the States, but a web search should find a dealer to order from. 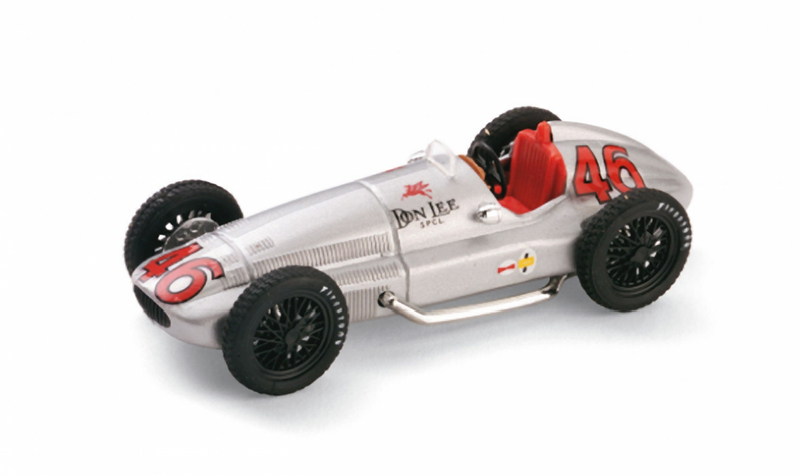 Brickyard Models kits can be found at the mother of all kit vendors, Grand Prix Models. 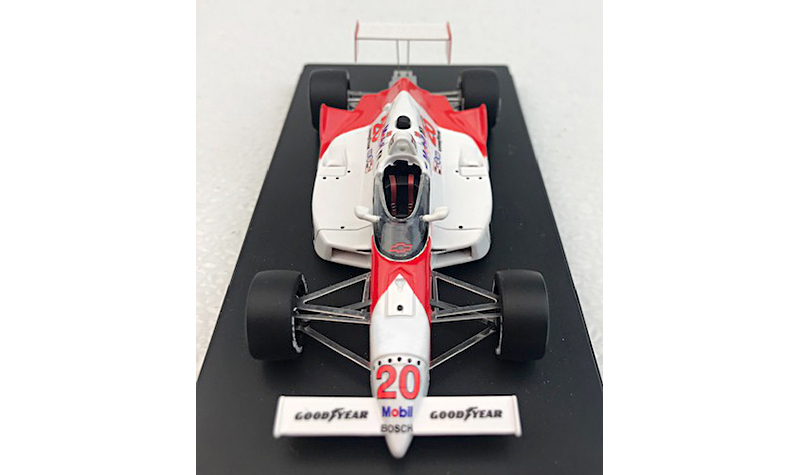 MA Scale Indy models can be found at their website.